Co-production will be at the heart of improving the mental health and wellbeing of children and young people as set out in the NHS Long Term Plan. 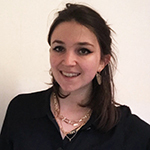 Grace Jeremy, 26, the Engagement Lead and Lead Young Advisor for We Can Talk, discusses what participation meant to her in helping to co-produce and teach unique mental health training for NHS hospital staff. We Can Talk was piloted at Barts Health NHS Trust, and has since been adopted by 16 NHS trusts. We can all agree the mental health landscape has changed dramatically over the past decade. Looking back to when I was first diagnosed with a handful of mental health conditions, and, even more so, when I began speaking openly about those conditions, I was met with a mixed bag of avoidance, uncertainty and stigma. It was not the hot topic then that it is now. We have taken great leaps to a more aware society; however, awareness is just one step on a much longer path. One young person I work with joked: “Before, I was depressed. Now we’re all aware… and I’m still depressed.” Many young people I know would echo this; it is obviously fantastic that we’re raising awareness and tackling stigma, but young people are still, all too often, left unwell, with insufficient support and a lack of hands-on knowledge from professionals (not necessarily the fault of the professionals, I must add). I myself champion awareness, but it must be matched with actual progress. This is the gap we aim to bridge with We Can Talk. Delivered as a one-day session, We Can Talk focusses on training staff to give the best experience possible to young people who seek mental health support in hospital settings. The morning is spent raising awareness and growing an understanding of mental health conditions. In the afternoon we develop skills to ensure young people feel supported and are involved in their care. I was employed as the Lead Young Advisor on the project right from its inception. Having grown up in the “youth mental health scene” I was aware of how many ‘participation’ initiatives were tokenistic, merely snipping away the leaves of a deeply rooted problem. From the off I knew We Can talk was different. My ideas weren’t only encouraged but also acted on, and I was the one in charge of implementing them. Whilst I drew on my own experience, I would never assume that my views were shared by the thousands of young people who seek mental health support each year. To ensure the voices of a spectrum of young people were built into the project I conducted a large literature review, interviewed young people, and worked with CAMHS participation groups. This wasn’t about gathering “tragic backstories”. Far from it. Young people are much more than victims of a broken system – they have agency, insight, and a darn good idea of how things can be improved. We discussed what would make a good experience, exploring what practical things professionals can do, how they can co-manage your risk levels or communicate in a way that works for you. We looked at how they can keep you safe – not just by stripping your room of “potential hazards”, but also by engaging you and addressing the power imbalance so many young people feel in these situations. These messages are central to the training. Not only was the training co-developed with young people, they also co-deliver it. I am now helping more young people to become Young Advisors, who will continue to shape and deliver the training themselves. Co-production is at the heart of the project (it’s literally in our by-line) and I’m happy to say it’s something we do well. The impact of the project has been much greater than I ever imagined. We’re currently working with sixteen NHS trusts to train over two thousand members of hospital staff and establish a sustainable model for local delivery. We’ve received amazing feedback from staff. They say we make a big difference in how they support young people, improve their skillset and empower them to help young people they might otherwise have avoided. Young people consistently say when they’re treated in the ways that We Can Talk teaches it not only gives them a better experience, but also helps them build their own skills and aids their ability to cope. The project has also given me some great experiences – we were nominated for a Nursing Times Award, travelled to Chicago to present at the Beryl Institute Patient Experience Conference, and ran two sessions at NHS Expo 2018. But beyond that I’m proud to be part of something that is genuinely making a difference, upskilling staff, saving lives, and creating a culture that says We Can Talk.